Last two from the mill sampler pack! It’s rainbow day! I like rainbows, and right now- I’m a little stuck on them. 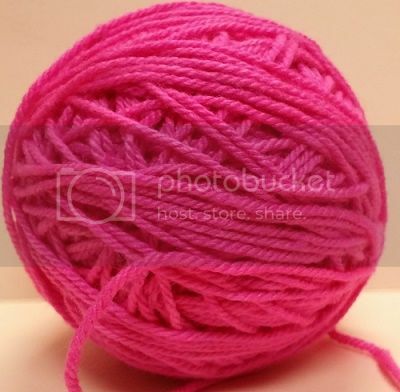 I may have to forgo my hand painted acrylic yarn idea. I’ve been scouring the internet for methods, and none of them seem like they are going to give me what I want. See- the essential consensus is to either use acrylic paint or special dye. The special dye WILL dye acrylic yarn, BUT it won’t be as vibrant. And it will be one color. One. So… none of the fun things I’ve been doing with rainbows. Tomorrow is Thanksgiving in the U.S., so Happy Thanksgiving to all those who celebrate it. I’m trying to vary the weights of the yarn I’m trying out, because it’s hard to identify some of them once they are wet; with the exception that this yarn is bigger than that one. So I will usually not have two of the same weight in the same dye pot, unless they are drastically different in appearance. I bought a generic salad spinner, to help fling out excess water, thus enabling the skeins to dry faster; but it doesn’t work right. That’s what I get for buying a cheap knock-off. I’ll have to buy the real thing at some point. Also- I think I’ve sorted out my skein/tie problem. Words of comfort and giant squid attacking innocent people on dry land. Jenny is awesome. Also- I want a stuffed animal Loris. Source: Words of comfort and giant squid attacking innocent people on dry land. And I want to take a nap. I paid for someone else’s breakfast this morning. And some people might say that doing things like that is a waste of money. I don’t think so. I’ve never seen FEEDING people as a waste of money. I guess it’s because I grew up poor. I’ve had times where the only thing in the house is a jug of water, a box of evaporated milk, some bread heels, and various condiments.